Why bother with trying to lift and carry an awkward and heavy refrigerator or freezer by yourself? 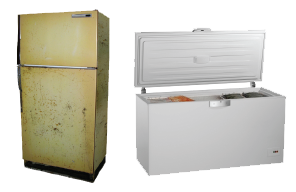 Just point and 1-800-DECLUTTER will remove and properly dispose of your unwanted refrigerator and freezer. We always donate any refrigerator and freezer still in working condition to people who need a helping hand or recycle when possible. 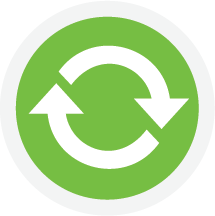 During the removal process, we take the proper steps necessary to protect your home or office.